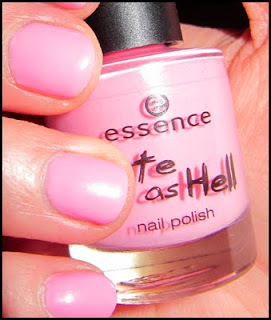 NOTD: Essence Not Just Cute (Cute as Hell LE) - Cherry Colors - Cosmetics Heaven! I still want all the other nail polishes from this set, but it's almost impossible getting them! So for now, here is the Not Just Cute nail polish. A nice pink, cream polish. It was easy to apply, but it isn't as pigmented so three layers were a must! 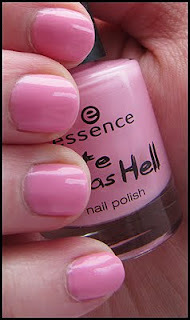 Oh and ladies and gentleman - some Essence items are being discontinued so their price is 0,95€. This way I paid for 6 items just 5.70€! !